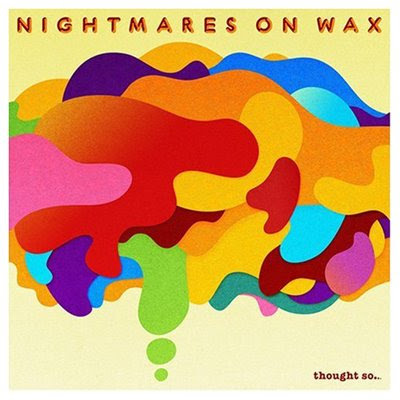 George Evelyn aka DJ Ease is back with his Nightmares On Wax project and their new LP, Thought So... is again scheduled for release this week, after being promised to the masses in the month of August. Though born in Leeds, UK he is currently holding court in Spain's notorious Ibiza, so this makes for an interesting texture on the latest recording, giving it an outer space vibe in sequence with Nightmares' usual Hipster-Hop sampled fusion. The Big Band which consists of Robin Taylor-Firth on Keys, Chyna Brown, Ella May, Mozez [of Zero 7 fame???] & Ricky Ranking on Vocals, Chris Dawkins on Guitar, Drummer Ize and Hamlet Luton on Bass Guitar, aids our sultan of Downtempo in his quest for the groove. WE WON'T LET GO OF SUMMER!